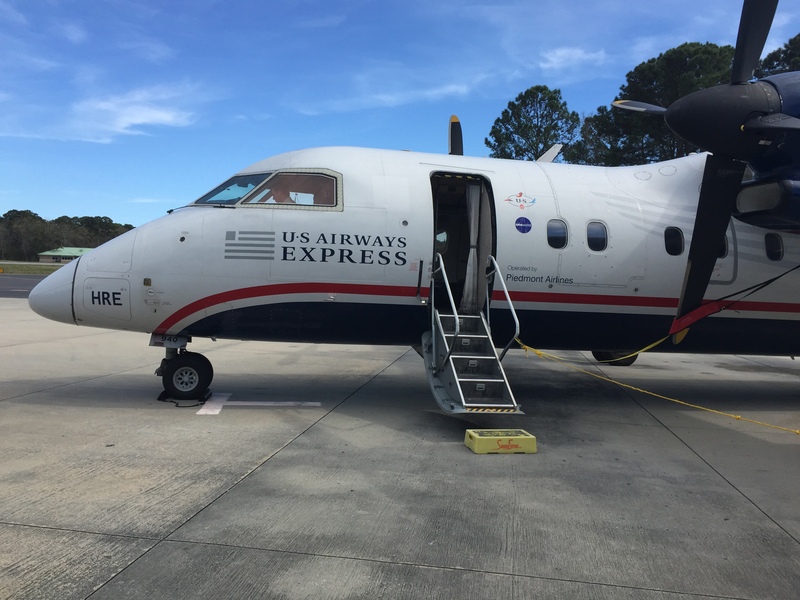 Travel note: go ahead and roll the dice to get a flight into the Hilton Head Island airport rather than a nearby regional one. Do not be dissuaded by the likelihood that you will be kept aloft in a twin propeller DASH 8. Don’t think of it as a puddle jumper, think of it as a boutique aircraft. Lodging note: The Hilton Head Marriott Resort & Spa is a cozy beachfront property with a great view and an extraordinarily good customer experience. Every single employee I saw had a face graced by an unforced smile and displayed a naturally pleasant demeanor. Little touches here and there added to the experience. Bacon-wrapped scallop proffered while walking in to check-in? Yep (politely declined, but still a nice touch). Waterside dining that was cool and comfortable despite a temp of 81? Yep. Power outlets on the bedside lamp so that phones could be plugged in next to where you sleep instead of across the room at the desk? Yep. However, it was the always helpful, never obsequious, people working there that made the biggest impression.